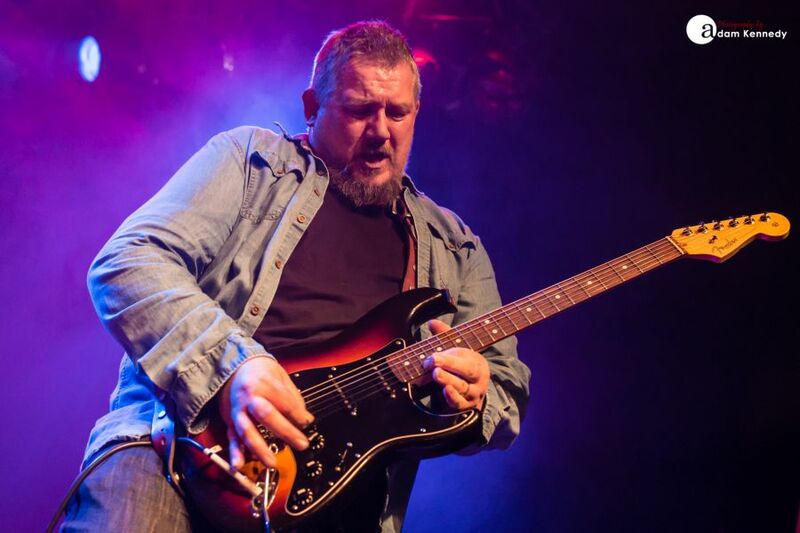 The annual HRH Blues festival returns to South Yorkshire bringing with it in tow a whole raft of international talent. 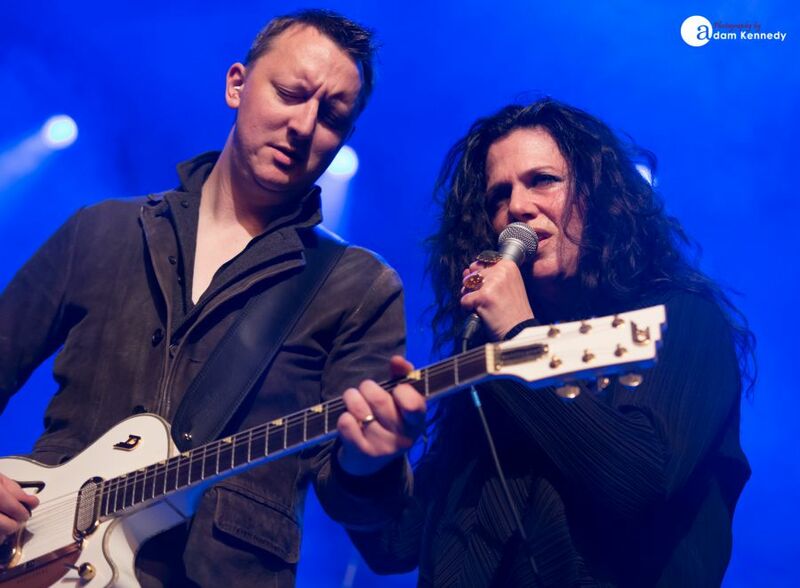 Delivering almost 24 hours of live music into the space of its two-day residency at the O2 Academy Sheffield, the HRH Blues punters certainly got their money’s worth. The festival drew visitors from far and wide, with a sellout crowd in attendance throughout the course of the weekend. The beauty of events such as this is that they bring together a perfect blend of both established artists as well as emerging acts. 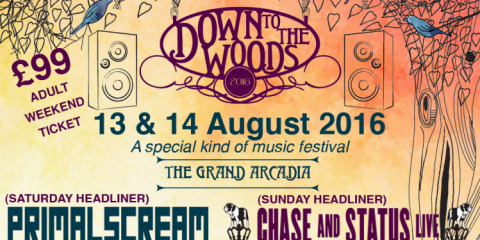 Midlands based outfit The Della Grants kicked off the proceedings on Saturday afternoon in front of a full house. The group’s lead vocalist Max Manning was on tenterhooks, although that had nothing to do with the gargantuan crowd he was performing in front of but rather the fact that his wife was due to give birth to their son Freddie (named after blues legend Freddie King), at any moment. 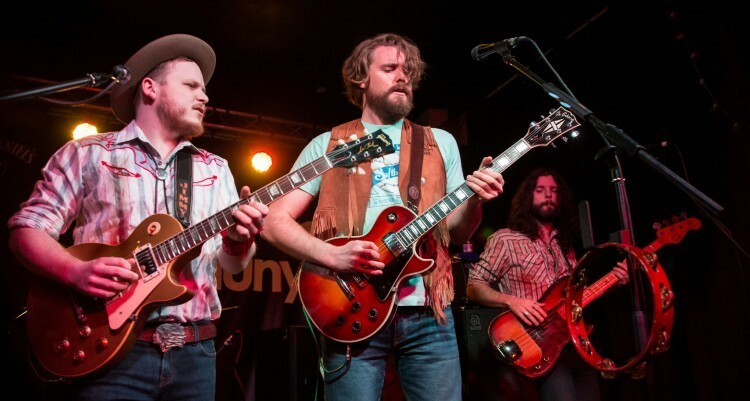 The Della Grants perfectly bring together a variety of roots and blues-based sounds ranging from their soulful cover of The Wood Brothers “I Got Loaded”, the New Orleans Jazz tones of “Weaker Man” right through to their beautiful slice of Americana in the shape of “Gone”. 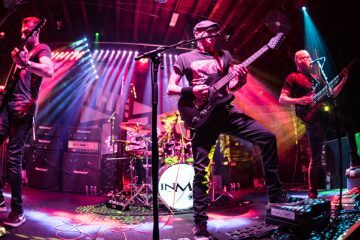 At the heart of all of this, the band has a solid old school blues sound which features prominently during the likes of the harp infused “Lay My Head” and their foot-stomping numbers “Red Mist” and “The River”. By their own admittance, it’s not easy coming on first but the group definitely did a great job of warming up the crowd early in the afternoon. 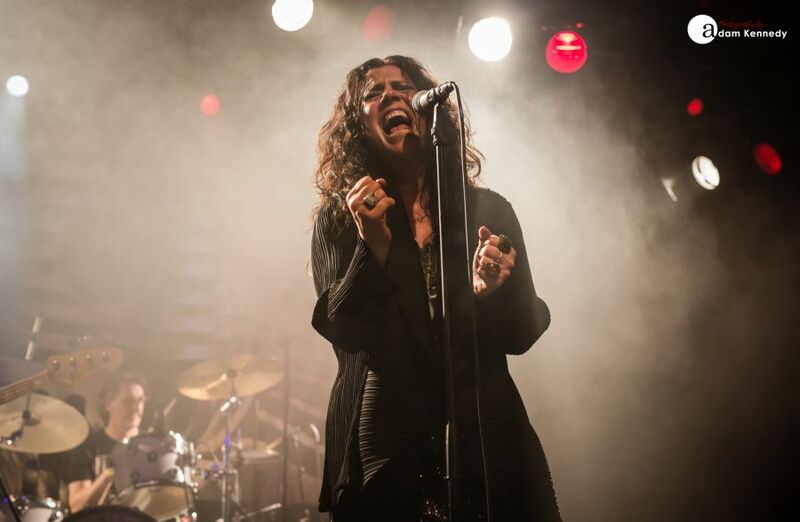 US-based blues chanteuse Sari Schorr captivated the Sheffield crowd with her passionate performance and spectacular vocal range during a set which focussed on her debut album A Force of Nature. 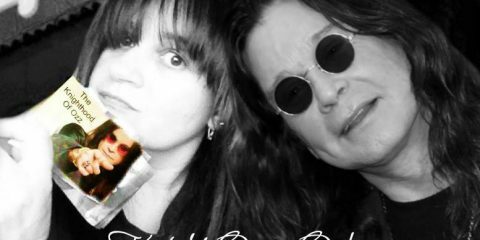 Tracks from the album including “Damn The Reason”, “Kiss Me” and “Aunt Hazel” all featured. 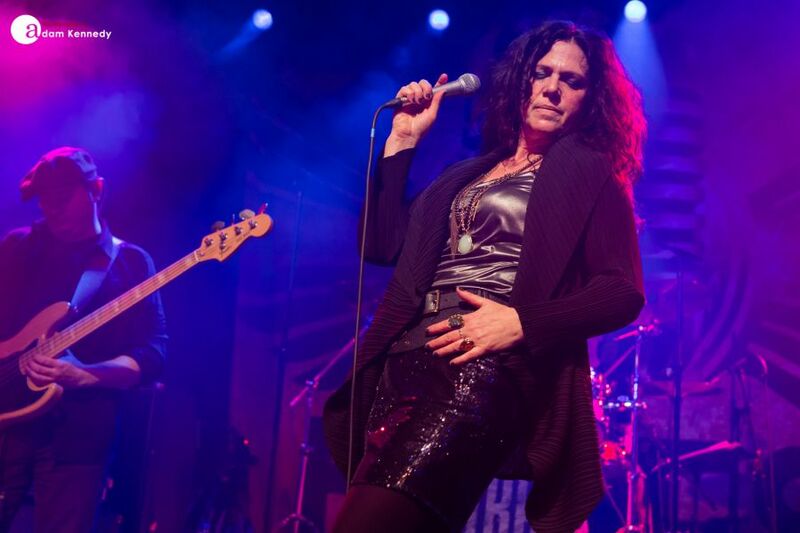 Sari’s spellbinding interpretation of Lead Belly’s “Black Betty” was most certainly one of the highlights of HRH Blues IV. 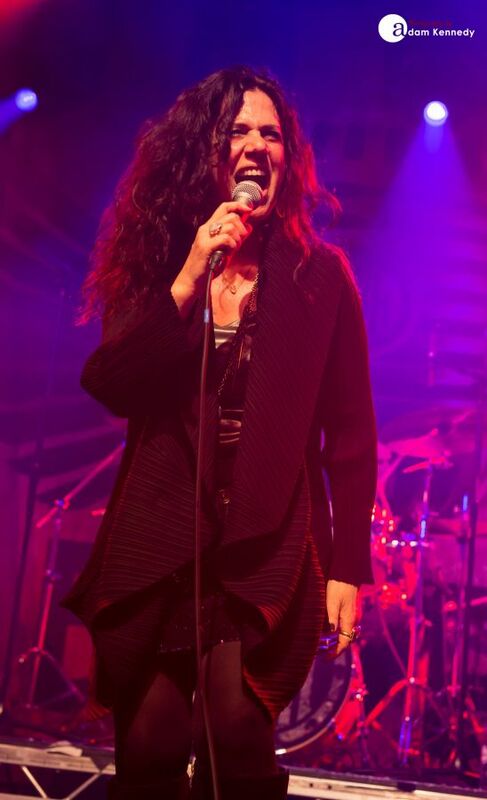 Schorr demonstrated great chemistry with her all-star band featuring Ash Wilson on guitar, Bob Fridzema on Hammond and Matt Beable on bass who came together seamlessly throughout and was certainly the talk of the festival for the rest of the weekend. On the second stage British quartet, The Rainbreakers brought in a large crowd as they put forward their own distinctive brand of contemporary blues. 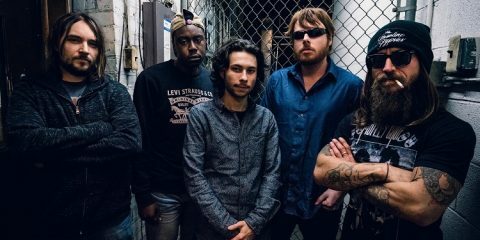 The band’s soulful groove is reminiscent in places of Gary Clark Jr. The group’s set featured tracks like the funky “Ain’t Nothin’ Goin’ On”, their own take on Doyle Brammall’s “Green Light Girl” before showcasing a new track “Need Your Love”. The group are currently in the studio at present recording their debut album and judging by the new material included in their set it’s certainly going to be one to watch out for. British blues legend Danny Bryant released his new album Revelation on the 20th April. Following in the footsteps of 2015’s Blood Money and 2014’s Temperature Rising, the new album is one of Danny’s most personal and emotional albums of his career. During his impressive set, Bryant delivers key cuts from throughout his extensive career. 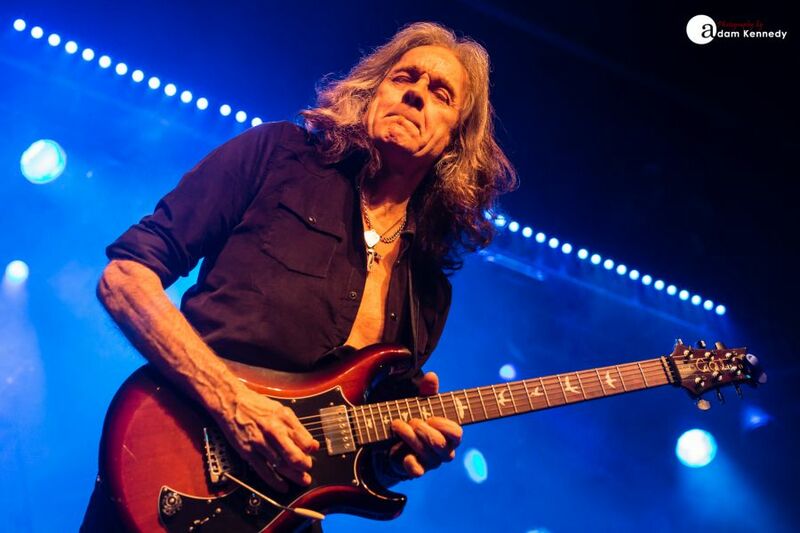 From his incredible rendition of “Prisoner of Blues” through to his heartfelt and emotive playing during “Painkiller,” Bryant has the crowd transfixed throughout delivering a display of guitar mastery in Sheffield. Bryant closes out his set with a cover of the Bob Dylan classic “Knockin’ On Heaven’s Door” which results in a mass singalong from the O2 Academy crowd. 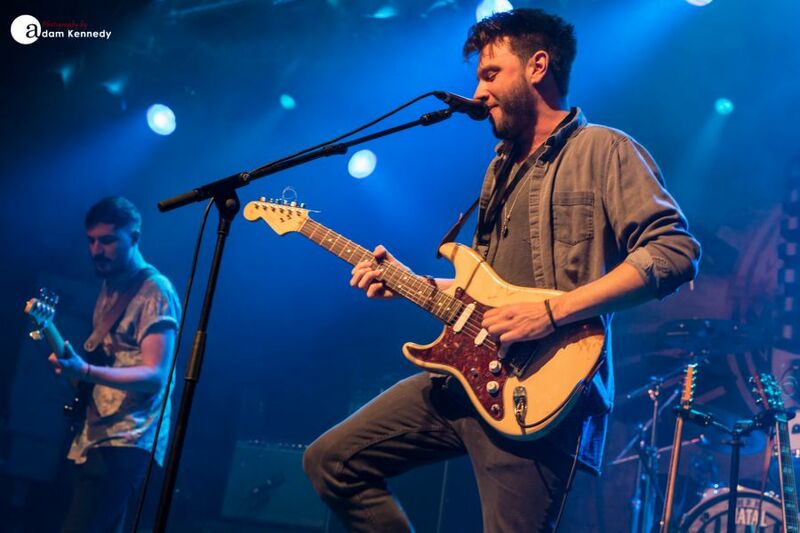 Danny Bryant will be taking to the road during May and June in support of his latest offering and is not to be missed. 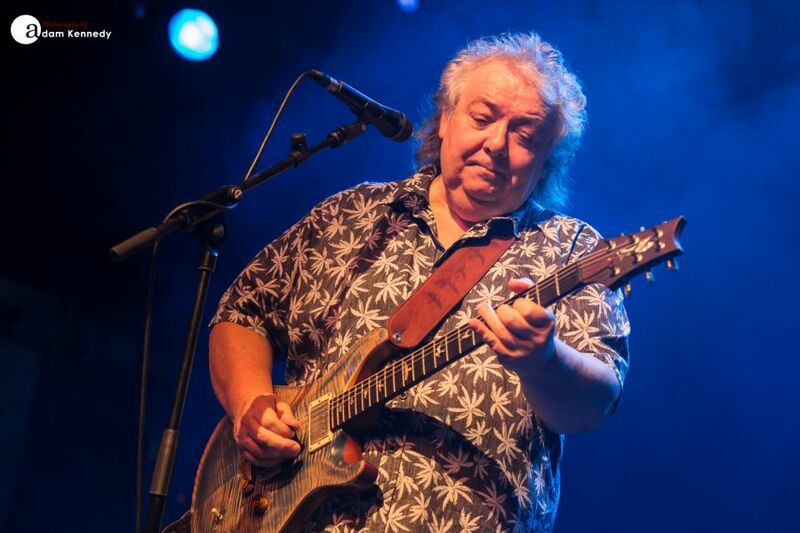 From one guitar legend to the next, Bernie Marsden is the penultimate act of the first day of HRH Blues. 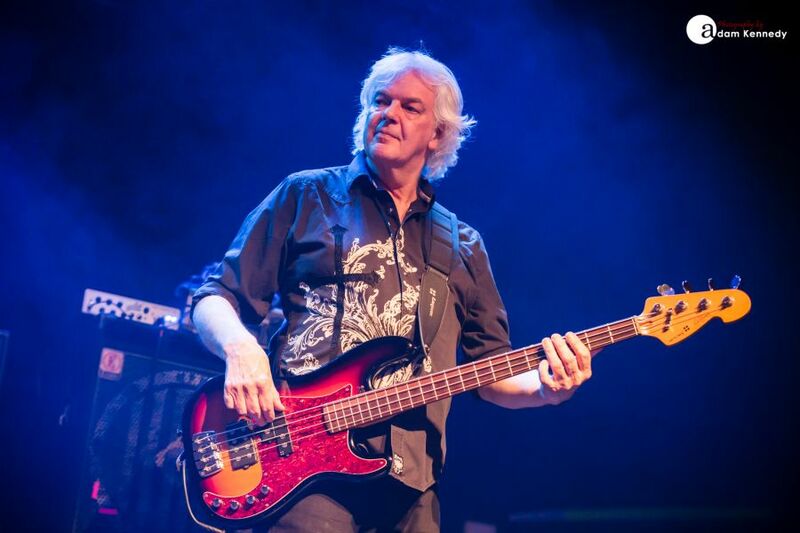 Marsden is joined on stage by former Whitesnake colleague Neil Murray on bass as part of a formidable blues trio. 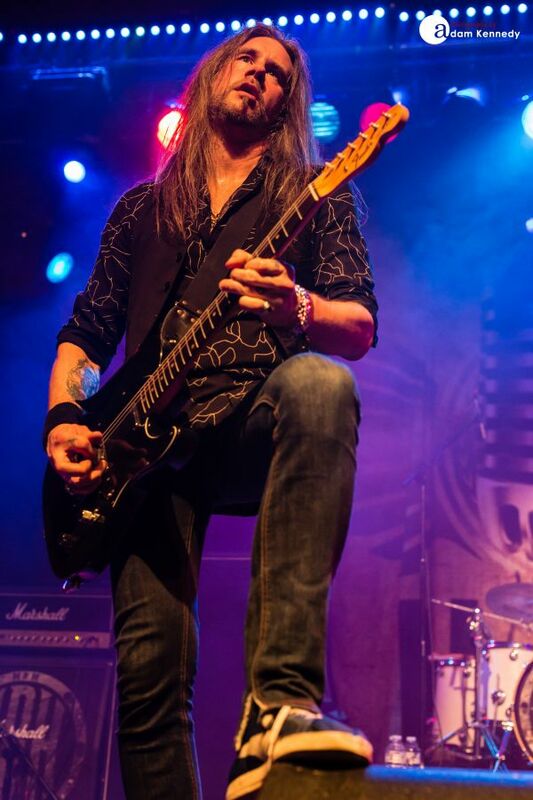 Marsden takes the crowd through a career spanning set that centres on his time in classic rock outfit Whitesnake. Bernie delves deep into the ‘Snake’s songbook including a blistering rendition of “Walking in the Shadow of the Blues”, a stripped back take of “Ain’t Gonna Cry No More” along with a myriad of crowd-pleasers such as “Here I Go Again”, “Is This Love” and “Ain’t No Love In The Heart of the City”. The fans hang on every word of these timeless anthems. Each song in Marsden’s the set is accompanied by a fascinating backstory from throughout his star-studded career. And for those that are interested in hearing more of Bernie’s tales he has recently released a new book. There’s also plenty of room in the set for some classic blues covers including a stunning performance of Albert King’s “Born Under A Bad Sign”, “Oh Well” by Peter Green’s Fleetwood Mac and the much celebrated “Going Down” by Freddie King. 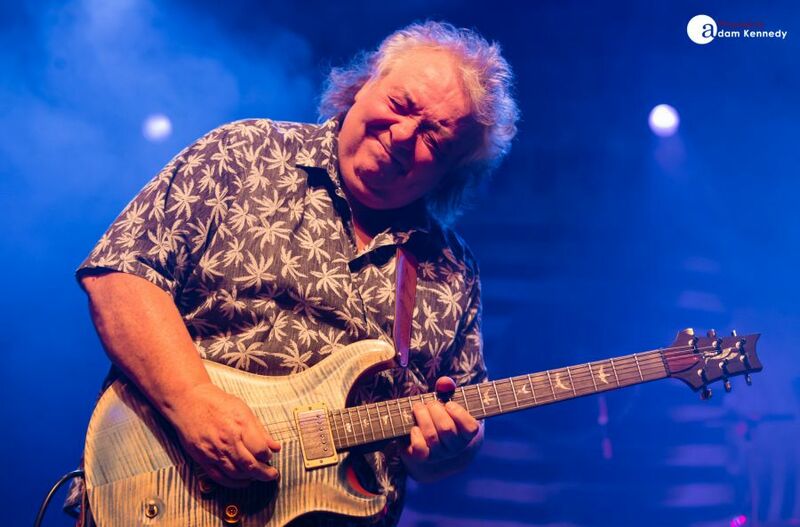 During the latter of which Marsden is joined onstage by Danny Bryant before the set is brought to a close with a touching performance of “Walking by Myself” by Jimmy Rodgers, which Bernie dedicates to the memory of the late great Gary Moore. 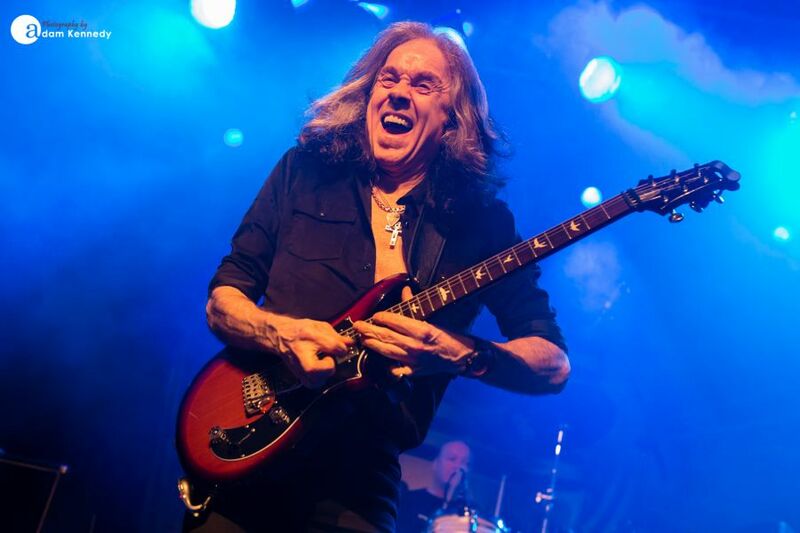 For those still going strong, the legendary Pat McManus plays on until the small hours whilst closing out the first day of HRH Blues in style. The fact that the O2 Academy Sheffield is packed to the rafters shortly after lunchtime on a Sunday afternoon is a testament to the strength of the first band of the day. That band being Catfish comprising of father and son duo BBC Radio 2’s Paul Long on keys and Matt Long on guitar and vocals. 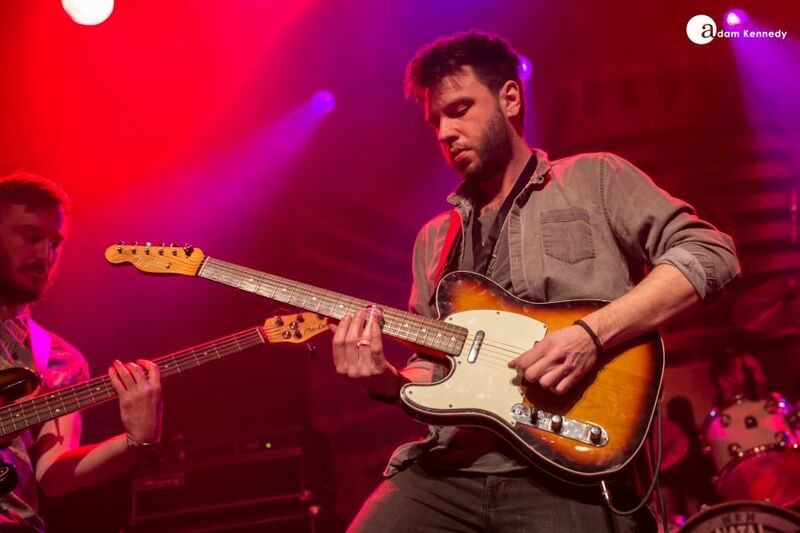 Matt’s passionate playing is reminiscent of the great Walter Trout, he lights up the stage during original songs such as “Broken Man”, the epic “Big Shot”, but it is Catfish’s atmospheric set closer “Make It Rain” which renders the Sheffield audience speechless. The group leaves the stage to a well earned standing ovation following a set which was one of the many highlights of this year’s HRH Blues festival. 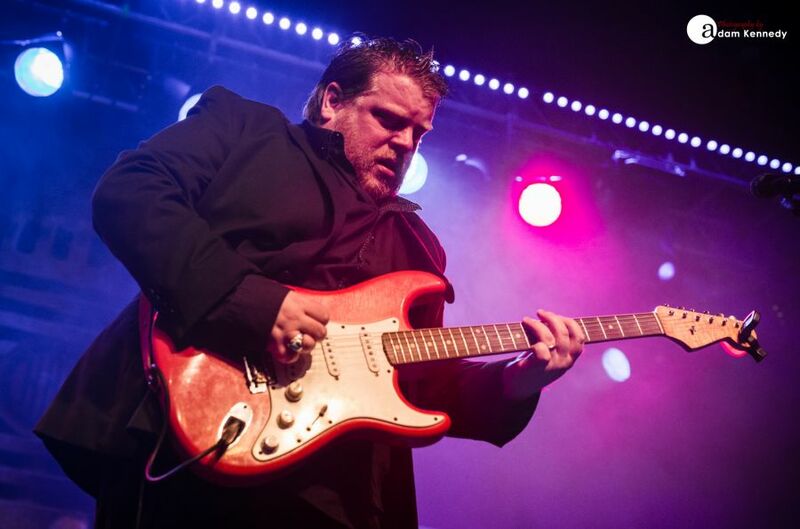 Swedish guitar virtuoso Pontus Snibb along with his latest project Wreck of Blues hit the stage mid-afternoon and delivers somewhat of an electrifying set. 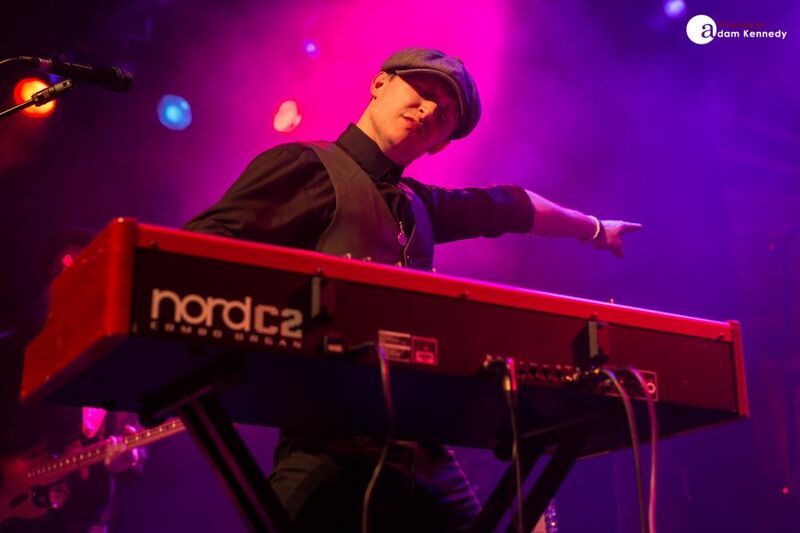 Snibb along with his powerful blues trio, which features his father Håkan Nyberg on drums, delivers a set which is a healthy balance of covers and original material. Tracks like their take on both Cream’s “Strange Brew”, Stevie Ray Vaughn’s “Texas Flood” and the band’s old school blues number “Too Late To Die Young” really stand out in the set. 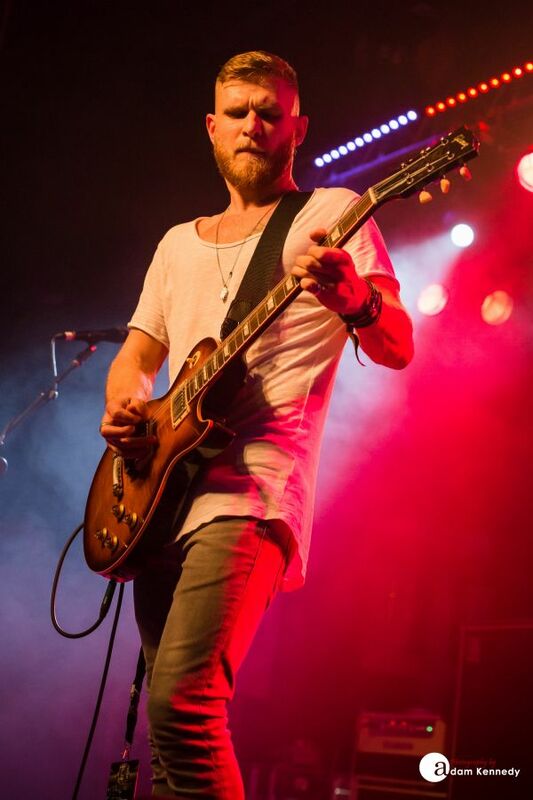 British guitar virtuoso Ben Poole lights up the stage on Sunday evening from the word go. 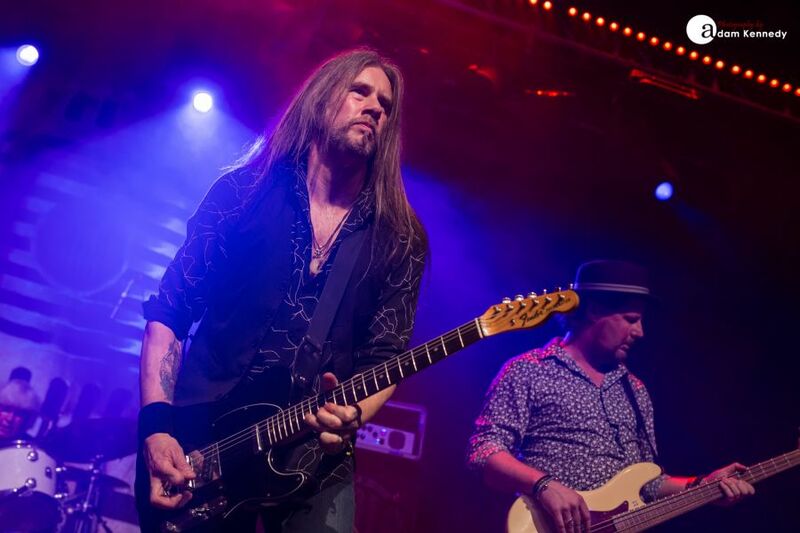 Poole is also joined on drums by King King’s Wayne Proctor, who makes his first of two appearances at HRH Blues. Kicking off his set with old favourites ” Let’s Go Upstairs” and “Win You Over” immediately gets the Sheffield crowd going. Slowing things down momentarily Ben delivers his soulful take on Freddie King’s “Have You Ever Loved A Woman”, putting his own unique stamp on this blues classic. Poole also takes the opportunity to showcase a couple of new songs, which certainly get the crowd’s approval and whet’s their appetite for more of what is to come. 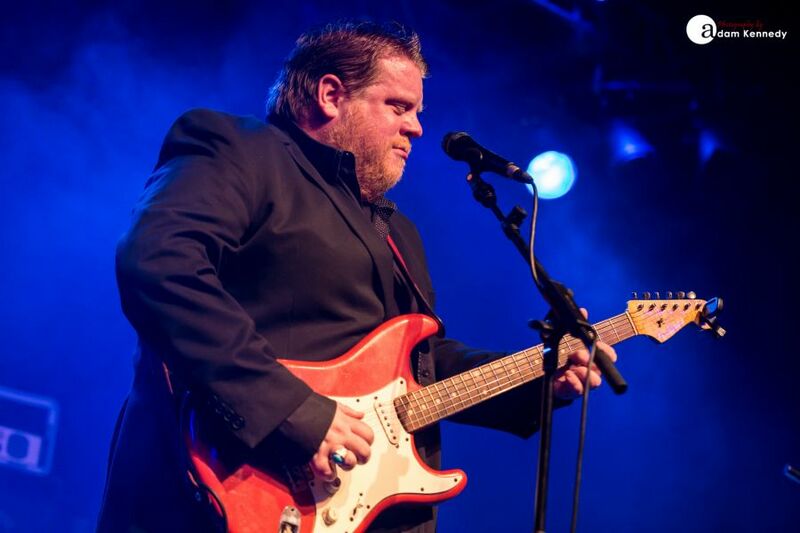 Ben Poole recently starred in the Gary Moore tribute concert in Budapest, Hungary and to close out his set at HRH Blues he performs his heartfelt homage to the great man himself in the shape of his showstopper “Time Might Never Come”. 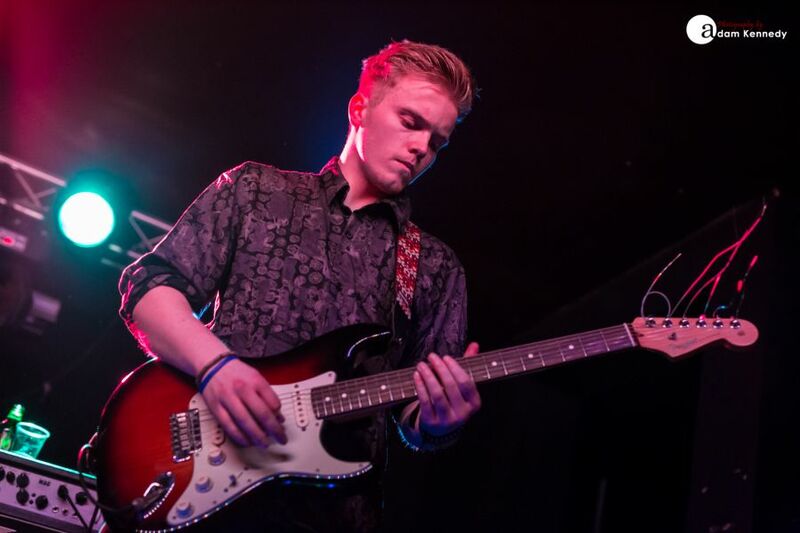 Ben Poole delivers contemporary British Blues music at it’s best. As the festival rapidly approaches its conclusion Stevie Nimmo is the penultimate artist of the final day of HRH Blues. Stevie has a long relationship with the event, having performed at the first incarnation of the festival in Wales several years prior. 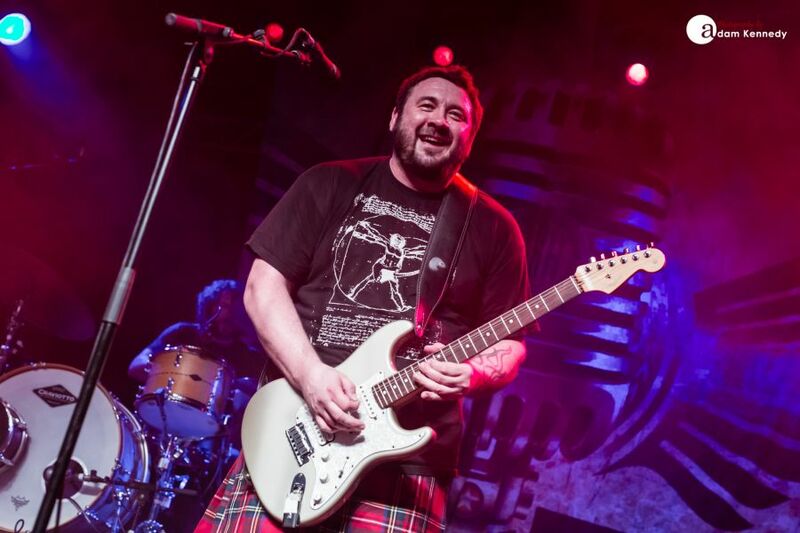 Having broken his arm in a motorcycle accident last year Nimmo has been largely unable to play the guitar and instead has enlisted the help of Dave Devlin to assist in the meantime whilst Stevie takes on the lead vocal duties. 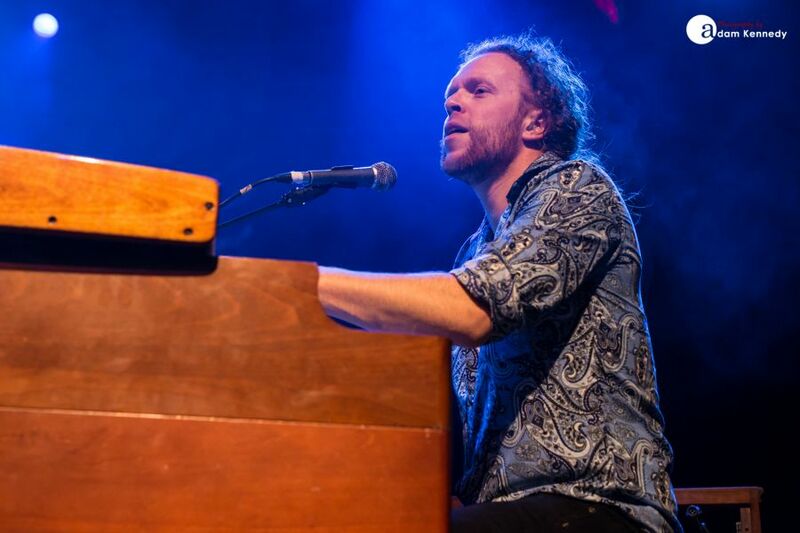 Nimmo delivers an outstanding set centring on his latest album Sky Won’t Fall with the likes of the lively “Roll The Dice Again”, slow blues number “Running On Back To You” and his take on The Allman Brothers “Gambler’s Roll” being highlights in the set. During the latter of which Stevie endures a bit of physio, picking up his guitar for one song in the set, and by his own admittance it hurt, but it felt good to be playing again. 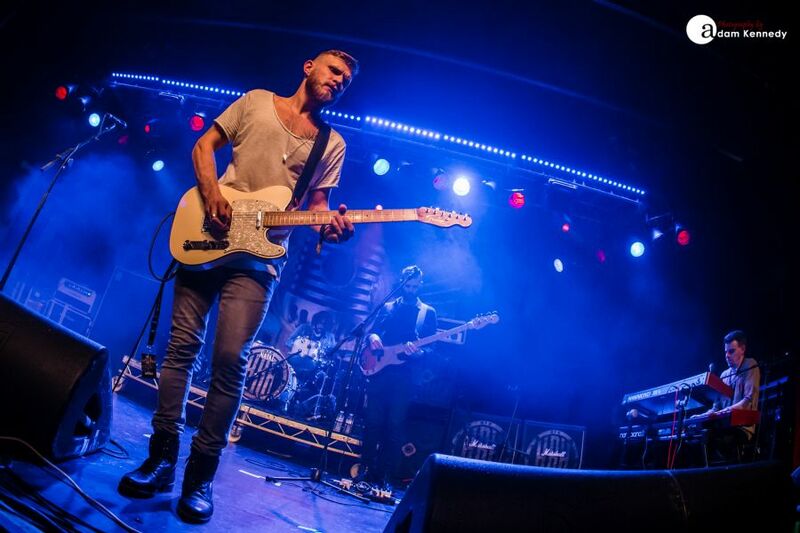 Stevie also includes in his set an incredible performance of Storyville’s “Good Day For The Blues” and on the strength of this performance alone, the O2 Academy Sheffield audience would wholeheartedly agree with the sentiment of that song. 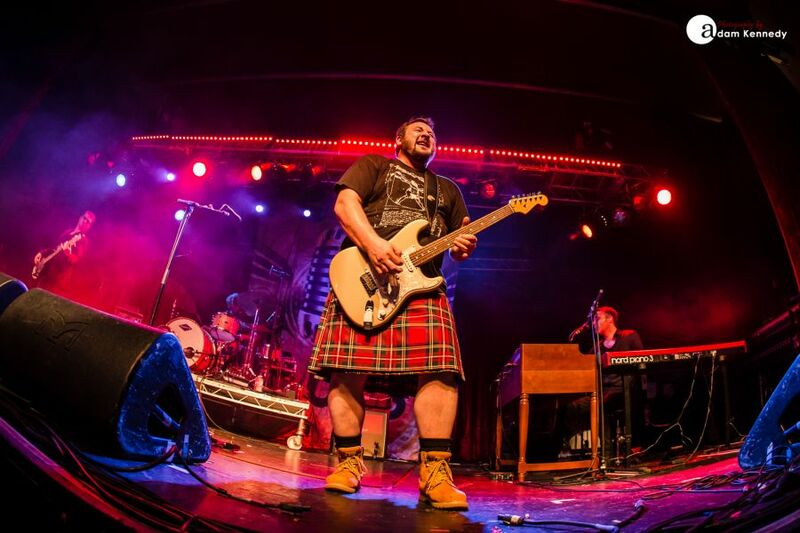 Having been forced to pull out of last year’s HRH Blues festival due to Alan Nimmo’s vocal troubles, it’s fair to say that the anticipation for King King’s headline set has been building for over a year. By the time the group hits the stage, the room is packed to the proverbial rafters and the atmosphere is at a fever pitch.  King King released their new album Exile and Grace last year and subsequently, the band showcase their latest offering with a small smattering of tracks from the record. This includes their hard rocking latest single “She Don’t Give Me No Lovin'”, “Broken” and “Long Time Running”. Of course, there is plenty of room for old favourites including a heartfelt airing “You Stopped The Rain” dedicated to brother Stevie Nimmo, the infectious slice of rock n’ roll that is “Lose Control” and the classic “Long History of Love”, which features some superb Hammond work from new boy Jonny Dyke and passionate playing for Alan Nimmo. 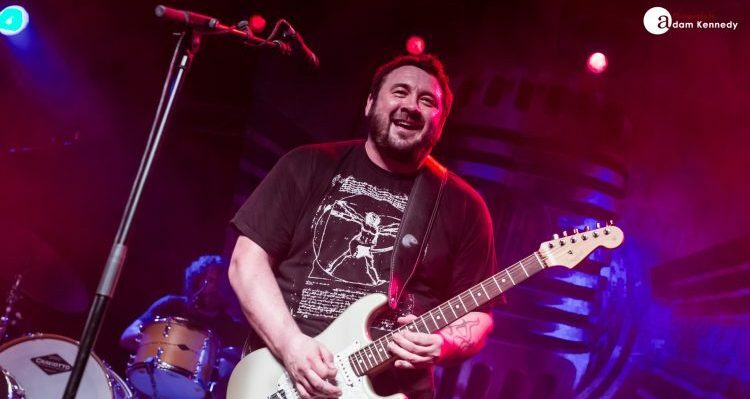 King King comes complete with an arsenal of crowd-pleasing hits, with songs like “Rush Hour” sparking a mass singalong from the Yorkshire faithful. 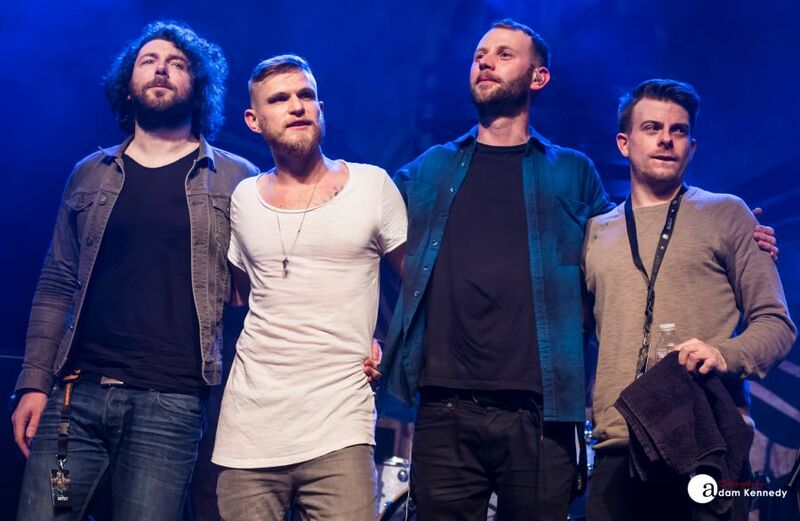 The band close out their main set with a breathtaking performance of “Stranger To Love”, before returning to the stage to round out an incredible two days in Sheffield with the upbeat and cheery number “Let Love In”. 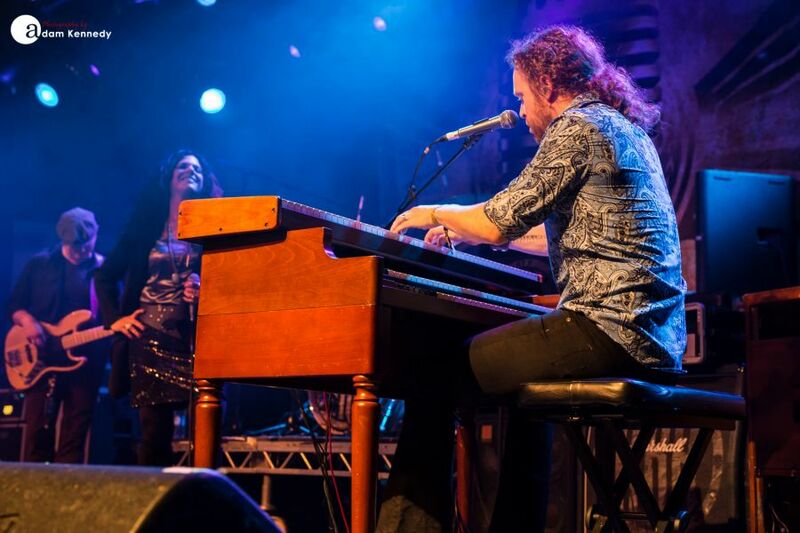 HRH Blues has firmly established itself as one of the premier events on the British blues calendar. The fact that this year’s event was sold out well in advance is a testament to just how good this festival really is. We look forward to more of what is to come next year.